Kashful Asrar Urdu version by Hazrat Data Ganj Bakhsh. Ketab Kashf-uL-Asrar (Revelation of the Secrets) is an Urdu version of a very old and famous Persian book of Sufism which was written by Syed Ali Bin Usman Al-Haveri well known as Data Ganj Bakhsh. Translated into Urdu by Malik Sher Muhammad Awan and published by Tasawwuf Foundation Lahore in 1998. This translation of the most ancient and celebrated Persian book on Sufism will, I hope, be found useful not only by the number of students familiar with the subject, but also by many readers. 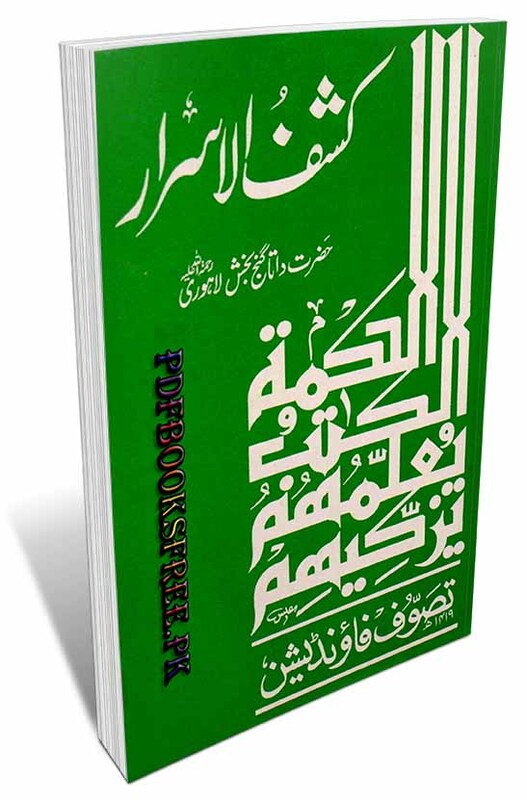 This is a small booklet contains advises and instructions especially for students and it refers to a person who is committed to a spiritual master(Murshid) in a spiritual path (Tariqat) of Sufism and it is also known as a Salik, a mureed is an initiate into the mystic philosophy of Sufism and all these details by great Sufi saint Daata Gunj Baksh Ali Hajuri are added in this magazine . This great book also contains some great achievements which are not yet known to the general persons, are published in a very interesting style, so for this reason the readers will find great interest and attention in this matter. From the above facts and details, if the readers will starts reading this booklet’s first page will not stop its reading till they will reach its last page as in this booklet some interesting events and as well as other great miracles and endeavours of holy saint are added and this holy saint to have passed away from the world some 1,000 years ago. The Urdu translation of “Kashful Asrar” book is now available here on Pakistan virtual library in high quality Pdf document for the study of our users. Check out the following links to read online or download the complete booklet in Pdf format and enjoy offline reading in your computer and smartphone.